Since 2003 DataComm has hosted and developed top-quality websites, and in this industry that makes us veterans. Finding a professional Minnesota web Hosting and Design Company is now easier. With strategic thinking, top designers, personal attention, competitive prices, real world results. 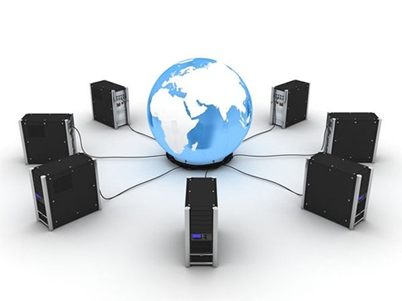 All hosting is provided on our own cloud and dedicated servers inside secure, state-of-the-art redundant data centers located in Aitkin, Chicago, Arizona, Kansas City, Pennsylvania and Washington D.C. DataComm provides quality web hosting for businesses and individuals looking for full-featured shared hosting with industry-leading local support and reliable service from a company you can trust. Does it make sense to purchase or configure a Microsoft Exchange Server at your office? The costs to install, maintain, and backup nightly are expensive! Let DataComm quote you a Hosted Exchange option. With Hosted Exchange, there are no worries, no additional expenses, no configuration for Smart Phones and BlackBerry Devices. With Hosted Exchange, all your mail is run through our state of the art Email Spam and Anti-Virus Service. Let DataComm do the technical work on Email. Save yourself trouble and money! Use Hosted Exchange for your corporate email solution. You can share your Calendar, Contacts, Email, and Tasks. With Hosted Exchange for Outlook, you can have company contacts and a company calendar. You can have all your Outlook Data available to you from most any computer. You can have access to shared calendars, contacts, and tasks among specific shared accounts. Hosted Exchange for Outlook is the best way to keep your Outlook synchronized with all your computer devices and have all updates instantly! Hosted Exchange for Outlook will give you and your company a Professional corporate email solution using Outlook. You can have all your Outlook data available anytime, anywhere. With Hosted Exchange, your data is always backed up and available on all your IT Equipment. All devices see the same data, no more manual sync! Get away from free email services that may make the first impression of you look an unprofessional or less legitimate. Give customers confidence in your business by building a professional image with email that matches your website address. DataComm’s email service gives you ten inboxes, each with enough space to last years. If you need more inboxes or somehow run out of space, you can upgrade anytime. Popular free email services are often targeted by hackers and spammers. Our top grade security keeps your email confidential and our advanced spam filters block thousands of messages a day. Our email supports the most popular email clients, smartphones, and web browsers. This includes Outlook, iPhone, Android, Firefox, Google Chrome, Internet Explorer, and more. You can trust that your email will be secure and always available since it’s built on our platform that powers many domain names. Hundreds of companies depend on us to keep their business running. DataComm is happy to introduce our new service – SpamGuard. SpamGuard is the easiest and most powerful email spam filtering service available. With DataComm SpamGuard, we do all the work for you, and there’s nothing to install, maintain, or service. Our award-winning hosted spam filtering blocks spam, offensive content, hacking attacks, and other threats. Web-based access is provided for each user to review all quarantined email. How does it work? You simply redirect your email – your MX records – to our servers, and our hosted antispam service filters your email before passing the good mail on to you. We go out of our way to make sure that any legimate emails (known as false positives) don’t get accidentally marked as spam, so you don’t have to worry about losing important email.